I know, I know I am sharing two alcoholic drinks with you in one week, which is pretty random of me to do, but I made this drink for Monday, but decided I would share it with you today, since I felt it needed its own blog post. I have three alcoholic drinks that I love and they call out summer to me, and I thought today I would share one with you. 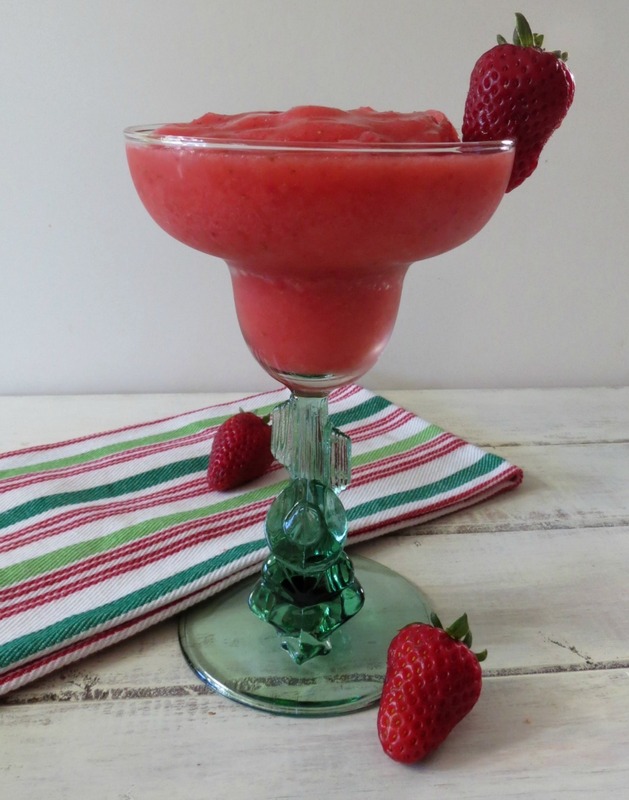 This is one of my all time favorite drinks, the Strawberry Margarita! But this is not the traditional 340 calorie margarita, it’s a skinny one! It’s only 104 calories for two cups!! 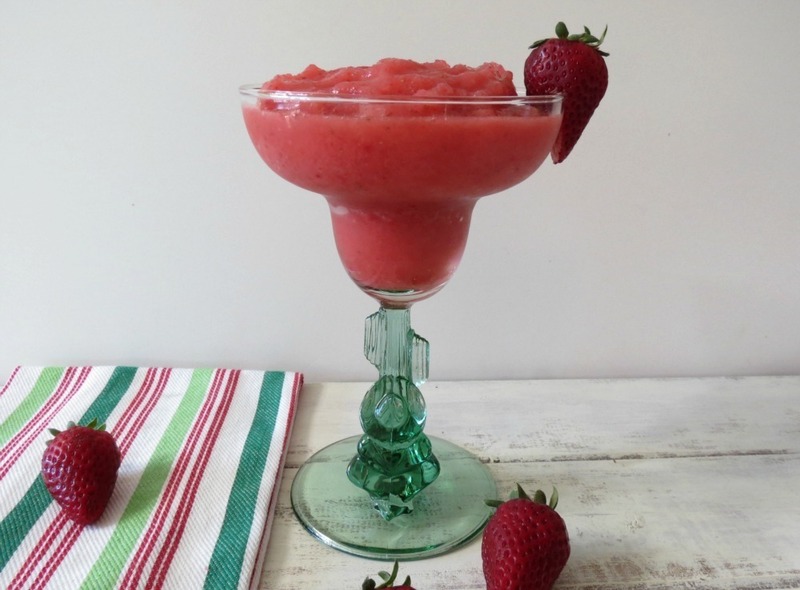 It’s made with frozen strawberries, stevia, water, ice and of course tequila. It’s perfect!! I just love margaritas! If I was out at a Mexican restaurant and I ordered a drink, it would be this one! But you know what? I love mine at home better! 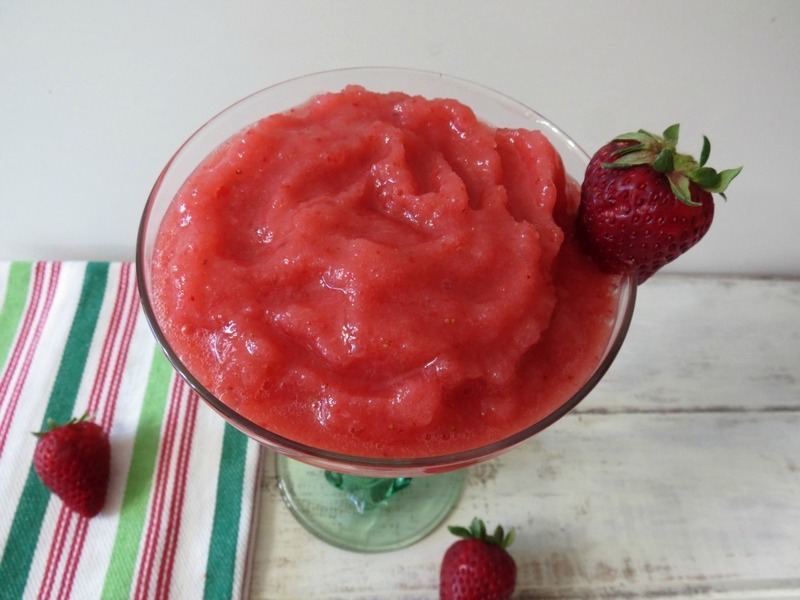 It’s sweet, chock full of strawberries and simply delicious! Plus completely guilt-free!! I could have two if I wanted!! 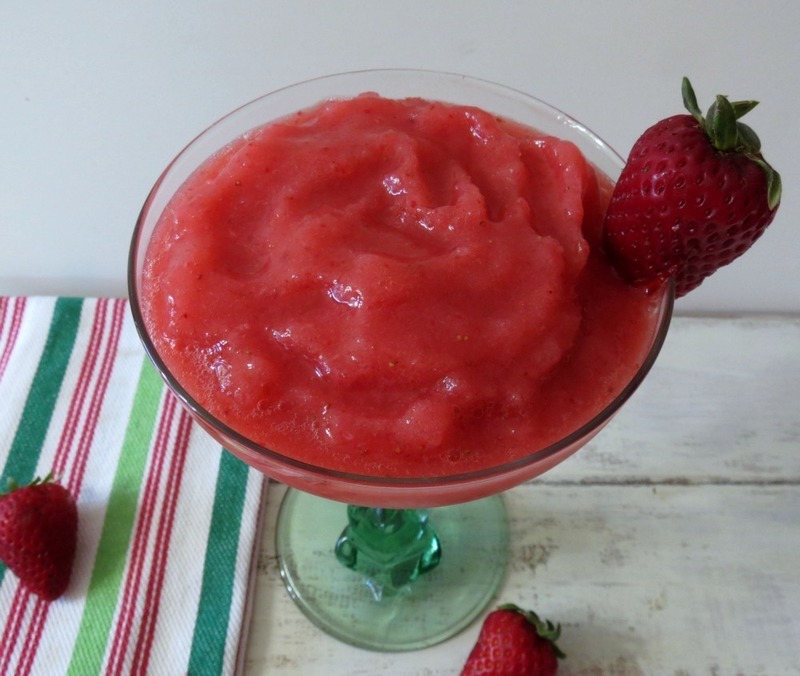 It takes just a few minutes to make and is a wonderful refresher if it is hot out. You can also choose to skip the tequila and make it without and you have a simple virgin margarita, which is perfect to serve kids!! At a dollop of whip cream and your kids have a healthy drink! 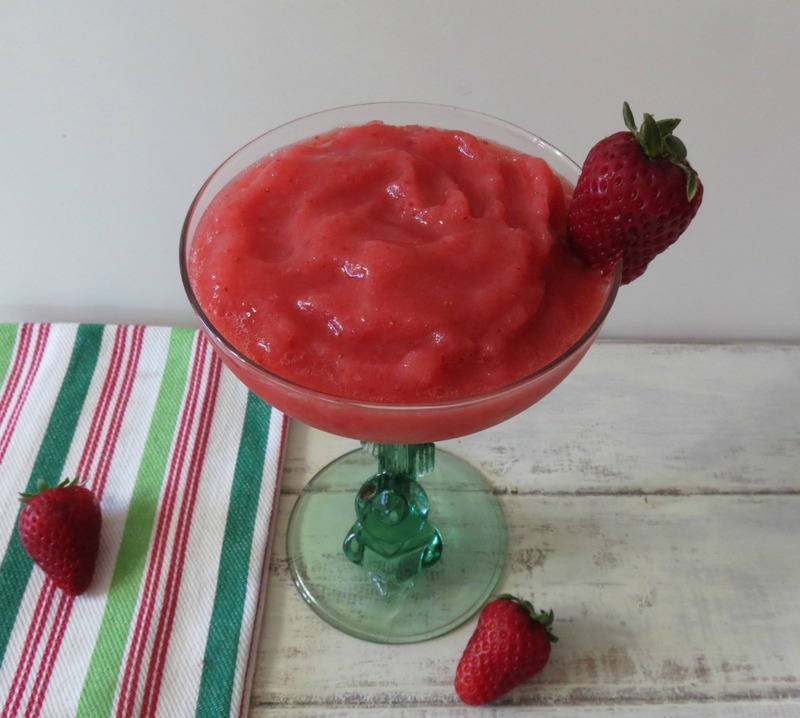 A sweet, low calorie frozen strawberry drink made with strawberries and tequila. In a blender add all of the ingredients and process until combined. I’m cutting this post short today. With the hot weather, than going to cool, I am whipped out! Time to relax, enjoy my evening and drink a Skinny Strawberry Margarita. I couldn’t agree with you more! Love the skinny part and perfect for a Friday night! Hello fabulous drink! It’s 5’o clock somewhere right?! Ohhhhh yeah! This is something I would like to have in hand right about now! I can see myself serving this allll summer long! Amazing recipe, Jennifer! with only 104 calories, this is my kind of drink!! How perfect for Cinco de Mayo this weekend! Just made this, I didn’t have any stevia, so I used a tiny tiny bit of honey to sweeten it. Very delicious and fresh tasting. Thanks for sharing. Hi, I am so glad you liked it! It’s one of my favorites!! Love that you used honey. Great idea!